Brothers and Sisters in Christ, what a blessing it is that we are now in the midst of the forty day celebration of the Saving Passion and Glorious Resurrection of our Lord, God and Saviour Jesus Christ. Our celebration of the Feast of Feasts, here at St. John’s was incredible! No words can possibly describe the joy we experienced as we proclaimed for the first time this season the Truth of our Faith, that Christ is Risen From The Dead and By His Death He Conquered Death! Our celebration, gives us hope and the strength to push away the darkness of despair, grief, sadness and pain that all of us in this fallen earthly life have experienced to one degree or another. 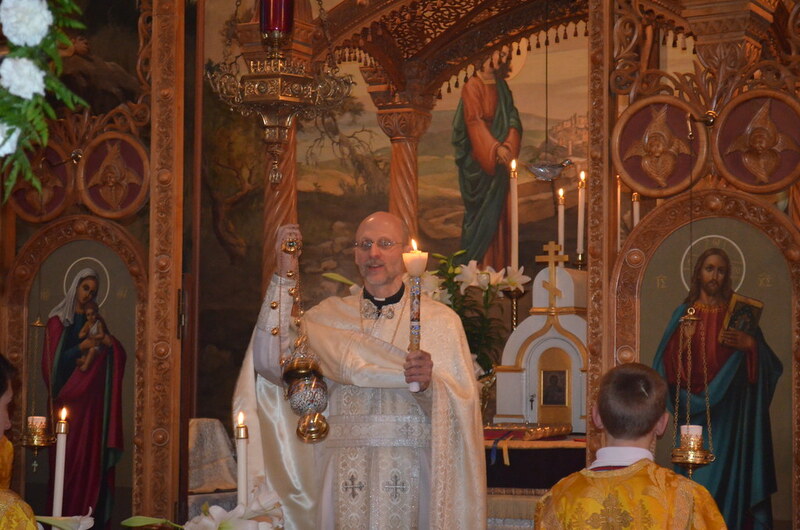 Together, by our reception of the Holy Eucharist, we have in the words of the Paschal Canon, “partaken of a new drink..” a spring of immortality, welling up from the tomb of Christ from which we draw strength. Now that we have beheld the light of the Resurrection, it is not enough for us to merely proclaim with our lips that Christ is Risen. We need to demonstrate by how we live our lives, that this truth is our firm foundation and anchor, and makes us who we are. As I passed the light of the Resurrection Candle to you in the darkness of the Church at the beginning of Resurrection Matins, all of us need to pass on the light of Christ to all those who we come in contact with. The world needs the light of truth and godliness and hope, now more than ever! As candles inevitably burn down and their flame eventually goes out, so too will the Paschal Joy wane in our lives if we are not spiritually vigilant. This is why during this Paschal season the Church is preparing us for the Feast of Pentecost, where we will receive the Holy Spirit, who will come within us and give us the power to keep this Paschal Joy alive. In the coming weeks, the hymns of the Church will speak of the Holy Spirit, as being the Living Water which will help the new spiritual growth that has taken place in our souls during the Lenten and Paschal Seasons to firmly take root and grow to maturity. May this same Holy Spirit, help us to keep the Paschal joy alive in our hearts and souls, so that we may live life to the fullest and be found worthy to enter Paradise.